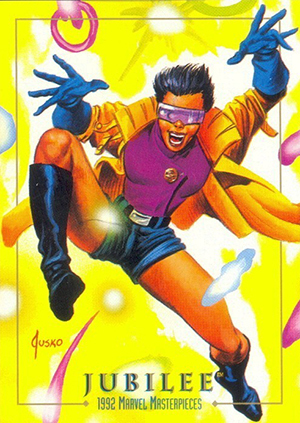 1992 SkyBox Marvel Masterpieces can be credited with taking mainstream comic cards to a new level. Offering a premium spin on the genre, every card in the set is painted by the legendary Joe Jusko. The end result is a set that celebrates fine art and lets collectors look at Marvel characters in a more realistic way. The 1992 SkyBox Marvel Masterpieces base set has 100 cards with all but the last card, a checklist, focusing on a specific Marvel character. What stands out instantly is the level of detail in Jusko's work. His lifelike approach gives even the most over-the-top characters a much more lifelike take. Card backs have a fairly lengthy writeup as well as a picture of the first issue the character appeared in. At the time of its release, inserts were starting to show up more, but they were still secondary to the base set. 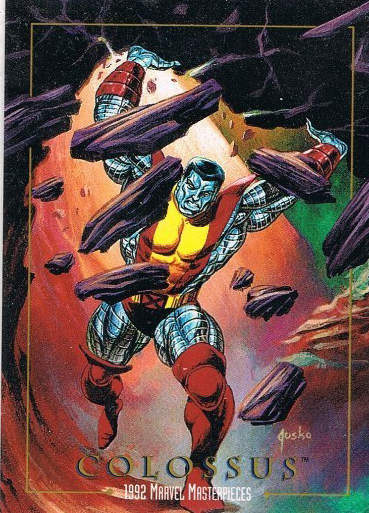 This is reflected in 1992 Skybox Marvel Masterpieces as there is just one insert set. 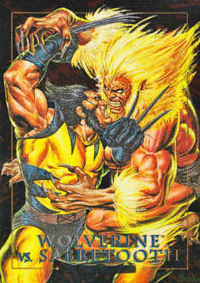 Spectra-Etch Battle cards present some of the most epic fights in Marvel's history in a very intense manner. Each 1992 SkyBox Marvel Masterpieces box has a gold foil seal that's numbered out of 350,000. This was, obviously, a very different time in the hobby. Every box has 36 packs of six cards. It shouldn't be surprising that unopened boxes are still somewhat available today. The sheer quantity has kept prices, overall, in check. That said, it's still more expensive than a lot of other Marvel trading card sets from the era. SkyBox also produced tin factory sets. Numbered to 35,000, each came with five exclusive "Lost Marvel" cards. Although numbered differently, they're like a small expansion of the main set. 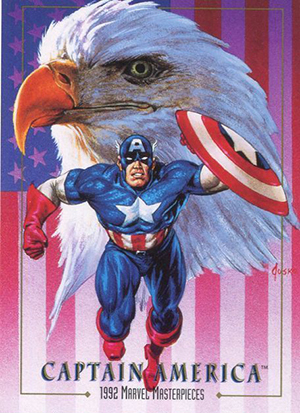 The Marvel Masterpieces line would continue to push the envelope for high-end comic cards until 1996. It remains one of the most influential and respected brands in comic cards. So much so that Upper Deck brought it back in 2007 and used it for three sets. 1992 Marvel Masterpieces OVER 150 CARDS. 5 cards. Available only in factory tin set. The three dealer promos are marked "Prototype."